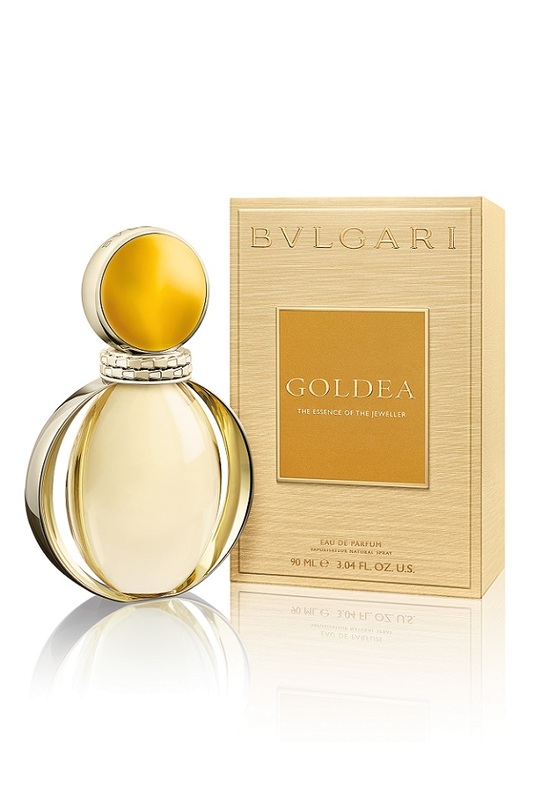 The luxurious modernity of Goldea plays with the codes and values of traditional Italian and French high perfumery. But the perfumes that I create for Bulgari are first and foremost jewels, with the shine or matt finish of a precious stone. Like a goldsmith, I wanted to chisel the radiance of gold, like a frozen drop of water crossing a “luminous field”. A profound and sensual creation, which literally radiates on naked skin. Goldea is a true hymn to musks. It verges on the unreasonable, recalling the extravagant volumes of Bulgari jewels. But this very particular mix of musks, with their persistent intensity, is decidedly neither dated nor baroque. If it were an object, it would be a golden sculpture by Brancusi. With its shape that creates a unique and timeless touch, soft, smooth and silky. This density, this brilliance, this patina are brought by the very modern and nearly tangible musks of Goldea. Within all its voluptuous facets, we find, thanks to the fl oral notes, a soothing naturalness which is very important to me. It is the contribution of the Ylang-Ylang – a very bright flower which echoes the controlled exoticism of this composition – and the jasmine petals. If it were a colour, it would be that of a ball of gold reflecting the brightness of the sky. Like a sunset. But Goldea also embodies the wealth and eternity that gold symbolises, and the hypnotic fascination which travels thought the history of men and gods, from ancient Egypt to the Spain of the conquistadores. 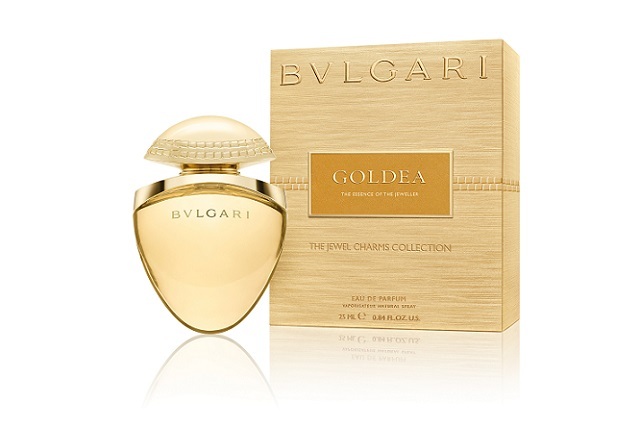 - By Alberto Morillas, perfumer, creator of Goldea. A sublime radiant top of solar crystal musk. A bright overture of crystal musk, illuminated and soothed by the sparkling softness of the orange blossom and bergamot absolutes and sun filled raspberry. A trail of pleasure with royal ambery musk. A rounded and soft velvet musk, fanned by the irresistible carnal sensuality of amber blend. Lastly, like a reflection in a golden eye… a trail of golden patchouli and Egyptian papyrus whose radiance is a deliberate echo of the sunny scent of Cyperus papyrus which the Egyptians used as an ingredient in their perfumes.